When you are selling your Sea Island or St Simons Island home, you need to be aware of a few things that will send up unnecessary red flags for potential buyers.Â Many of these things can be changed quickly and with little or no expense. Create Curb Appeal. First impressions are important. Clean up your yard and make it look the best it can. Clean up your Front Door. Clean or paint the front door and put out a new welcome mat. De-Clutter. Go through your home one room at a time andÂ declutter. A home with less clutter will get a higher selling price. Clean. Kitchen and bathrooms need to be extremely clean. Go through them and clean them as if your mother-in-law was visiting. Get rid of smells. If you are a smoker or have a pet, make sure to clean your carpets and remove the smells. Repair little things. If there is a broken light or a leaky faucet, take care of it before showing the house. If small things are broken, a potential buyer may think that larger things are broken as well. Stage your home. Each room should have the furniture arranged in a welcoming fashion. Removing some furniture or taking furniture from one room to another may create a more pleasing look. Let the sunshine. Clean all your windows, and when its time for a showing, make sure all the blinds are open, and turn on a few lights. Create ambiance. For an open house or showing, light a scented candle, turn on some nice music and put out some flowers. It sounds like you are setting the stage for a date, but it will make the showing a nice experience for the prospective buyers. Pretend you are the buyer. When you are done, go through the house as if you are the prospective buyer. Bring along a friend and ask for honest suggestions on how to make it look better. 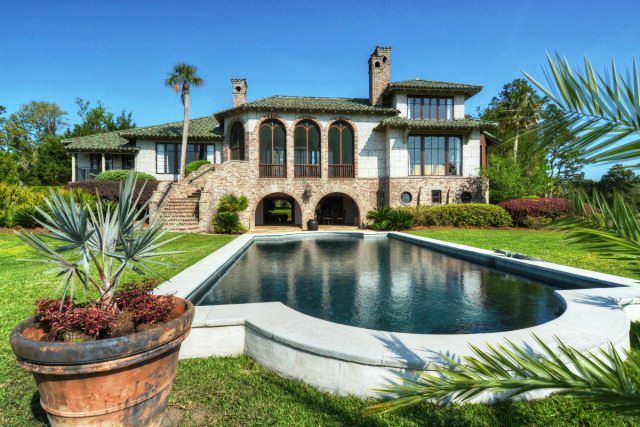 When you are ready to sell your Sea Island or St Simons Island home, please contact DeLoach Sotheby’s International Realty for assistance. Our experienced realtors will be happy to help.